Looking for a professional? Check out or directory to find the perfect fit. We started Black Tie out of our one car garage with a few hundred pair of skis and a vision to deliver a more convenient way for people to rent skis. Today, we have 15 locally owned and operated Black Tie branches servicing more than 35 world-class mountains. All of us are committed to providing a service that allows you to spend less time waiting in lines and more time on the slopes with family and friends, which is what vacation is all about. Ski gear and patio furniture. Lindsay Bourgeois, ASID has created award winning interior designs throughout the west coast since 2001. Specializing in custom homes and boutique resort developments, she successfully develops interiors mirroring her clients' individual requirements. Whether working on conceptual plans or planning a complete remodel, Lindsay's exceptional insight brings a fresh approach and an open mind to each project - with true client satisfaction as her ultimate goal. Rustic cabin, urban lodge, or high mountain retreat, we’ve got your style. Exquisite furnishings that will surround you with the warm mountain lifestyle you seek. Hickory, knotty alder, reclaimed Baltic pine, aspen, copper, hand forged iron, lodge pole pine, cottonwood, birch, teak, oak, and manzanita are just a few of the materials used in our handcrafted furniture and accessories. We work with hundreds of talented artisans to bring you the most beautiful and unique furniture, fabrics, bedding and decor. At California Cowboy we believe you can use your personal style as a secret weapon to meet new people. In analog. Not swiping or liking, but actually looking into someone’s eyes and having a conversation with them. With your mouth. Our goal is to share our style weapons to make your social experience a better one. We strive to make people laugh and think twice when encountering you – one of the Vital Few – our tribe. 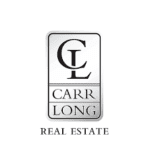 Carr Long is a professional Tahoe real estate partnership with over 50 years of combined experience helping families live and play in the North Lake Tahoe area. Carr Long brings a history of high productivity, a strong work ethic and a valuable office location to their family of clients and provides unique marketing opportunities that other companies in the area simply cannot offer. 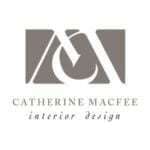 Catherine Macfee Interior Design is a full-service design firm specializing in high – end residential and select boutique commercial projects. The award winning firm practices authentic and quality design with an eclectic and vibrant approach to Mountain, Coastal, Country, and Ranch lifestyles. Catherine and Justine Macfee is at the helm of this full-service design firm where projects involve drafting, space planning and interior architecture, working with architects, contractors, and homeowners with design consultation. Chase International is a dynamic, independent real estate firm with a Residential Division, Commercial Division, Marketing Department, Relocation Center, Property Management Department, Title Company and Mortgage Company. We are committed to success and devoted to enriching the lives of our clients, sales associates, staff and community. We live and work in the communities we serve: Zephyr Cove, Glenbrook, Incline Village, Sparks, South Lake Tahoe, Tahoe City, Truckee, Reno, Carson Valley and London. My background in many years of public relations and business ownership has provided me with an extensive management and entrepreneurial skill set which translates well to the real estate profession. In addition to being passionate about what I do, I am extremely hard working and detail oriented. I am concerned about, and especially attentive to, the needs of my clients. I am a patient, good listener and communicator. I understand that these attributes, combined with my integrity, knowledge, and experience, allow my clients to rely on me and place trust in our agent/client relationships. 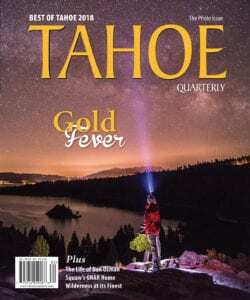 Each summer, Classical Tahoe brings together world renowned classical musicians for a three-week music festival and institute on the campus of Sierra Nevada College in Incline Village, Nevada. 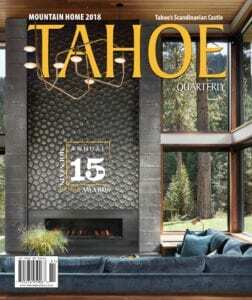 Clear Creek Tahoe’s first phase features 121 estate homesites in a forested setting ranging from 1/2 to almost 5 acres. With the intent of preserving the integrity of the golf experience, homesites fronting the golf course have significant setbacks, while other homesites enjoy mountain or Carson Valley vistas. 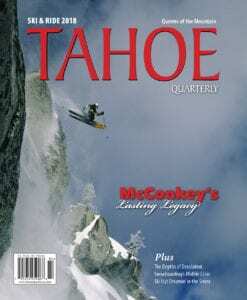 Come join those who are already calling Clear Creek Tahoe home. 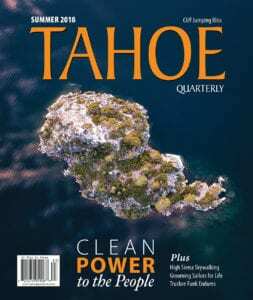 Lake Tahoe's oldest and largest real estate company neslted in the scenic Incline Village area with two locations on Lake Tahoe's North Shore. Northern Nevada's Largest Real Estate Company with 8 offices and over 250 agents to service your needs. Coldwell Banker Incline Village Realty is Lake Tahoe's Premier Full Service Real Estate Firm. A prestigious Chairmans Circle office, only awarded to the top 5% of Coldwell Banker offices in the country. Coldwell Banker Incline Village Realty offers it's clients a service oriented brokerage. WIth offices in Reno, Sparks, Carson City, Fernley, Incline Village and Stateline at Tahoe we can service your Real Eatste needs throughout Northern Nevada. Discover the Coldwell Banker Select Real Estate Difference. Consign Furniture Reno carries one of the largest selections of consignment and previously owned furniture in Reno, Nevada. Consign Furniture also has a location in Liberty Lake, Washington. 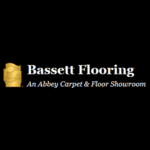 Our showroom has been designed aesthetically to present beautiful pieces at affordable prices. Looking to spruce up your office, living room, or backyard? Consign Furniture has just the piece for you! 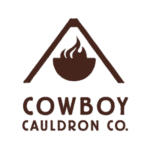 "To promote a positive business environment for the building and housing industry and enhance opportunities for its members and the community"
Cowboy Cauldron makes the most beautiful, best-designed, longest lasting, and most functional fire pit and grill ever to exist. Period. Built by hand in America from domestic steel, a Cauldron will literally change your life. In fact, it will almost surely change the lives of grandchildren and great-grandchildren who aren’t even born yet. Our company and our products are built with one goal in mind – to bring people together for moments of meaningful interaction, and to do so for a long, long time.